Hello everyone, Halloween is round the corner and everyone is busy setting up their home for the festival. If you are still wondering what to setup for this year's Halloween, I'm going to help you in Halloween decoration ideas. 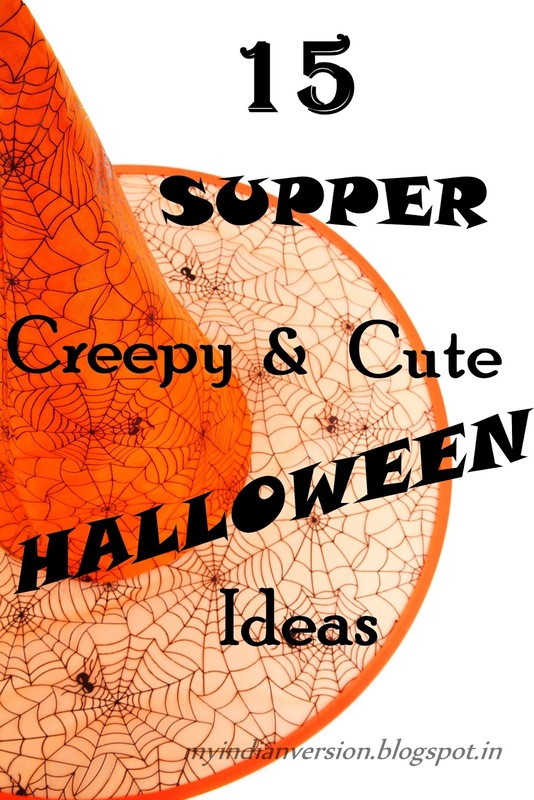 Down there is a list of super cute and creepy Halloween ideas. I tried to find tutorials for all of these Halloween crafts. Couple of them you can just use as inspiration and create your own version. NOTE : Click on the image to catch up with the tutorial. Oh! these are super funny. Try giving your scary decoration a funny colorful break this year. 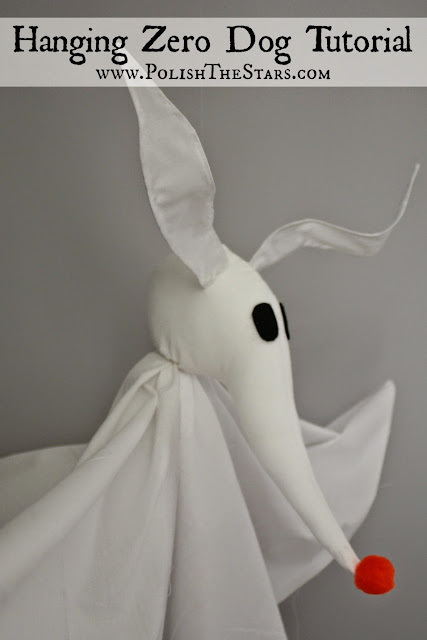 And they are easy and great as kids Halloween crafts. 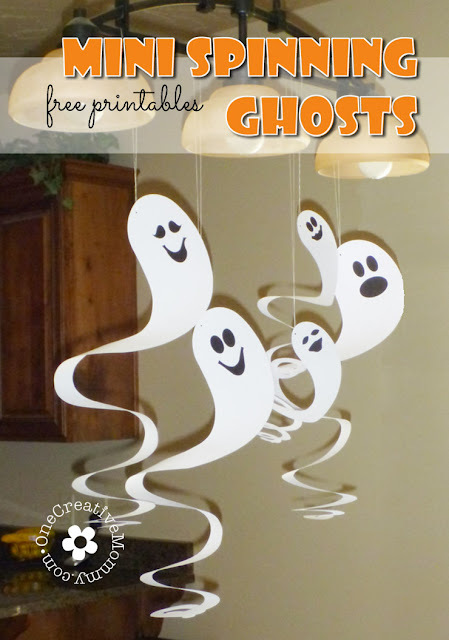 These floating ghost is a perfect hanging piece for trees or even lamps and stairs. They are transparent and will make a onlooker think, how they float??!! Another one of white ghosts. A bunch of Halloween ghosts tied into a string. 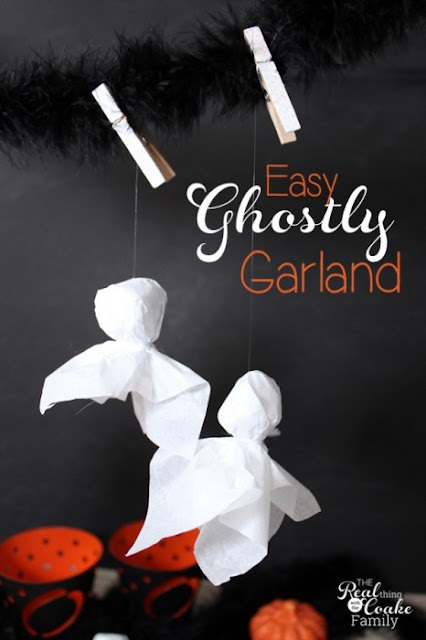 My tip - Arrange this ghosts garland in any words (BOO, TRICK OR TREAT, HAPPY HALLOWEEN,etc) or even any scary shapes. 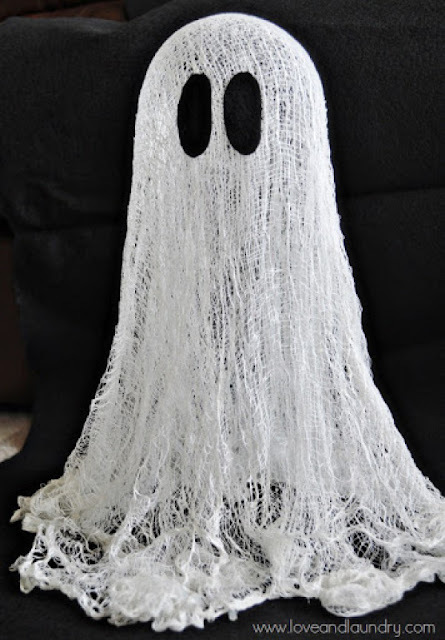 This is the most simple Halloween decoration ideas I have came across. 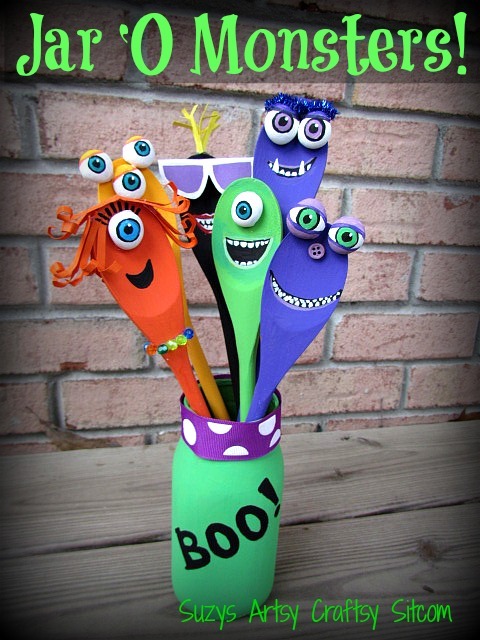 A great Halloween crafts for kids. You will find a guiding printable if at all you need it. 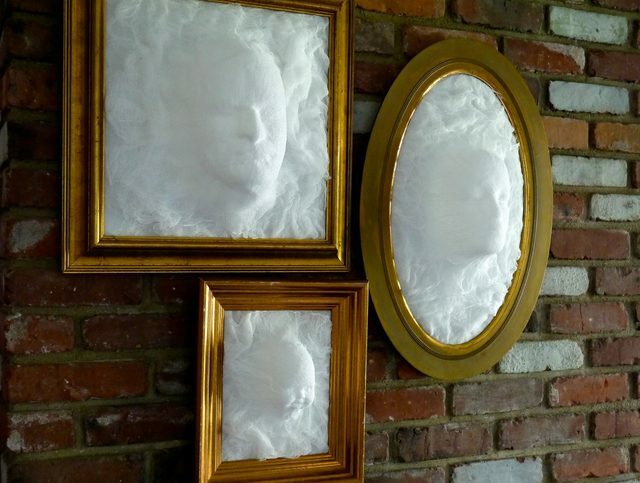 This ghost faces picture frame are sure to be the hit this year at your house. They are scary and exotic. My favorite in this list. Oh! 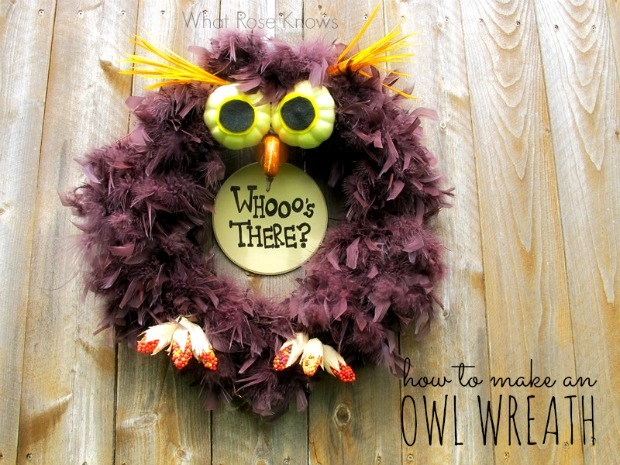 a owly wreath...that's not scary...but it is creepily cute!! These were my thought before finalizing it for this list. Why not keep cute at entrance and scary inside the house! Ok. It's a tutorial about a doggy ghost. Find a guiding printable to make it. This doggy ghosts was once sold at Etsy but now the owner shares the tutorial with everyone. Thanks to her. Remember I told at start about a inspiration piece, this is it. Try it on can a canvas board with artificial flowers. My second favorite of this list. 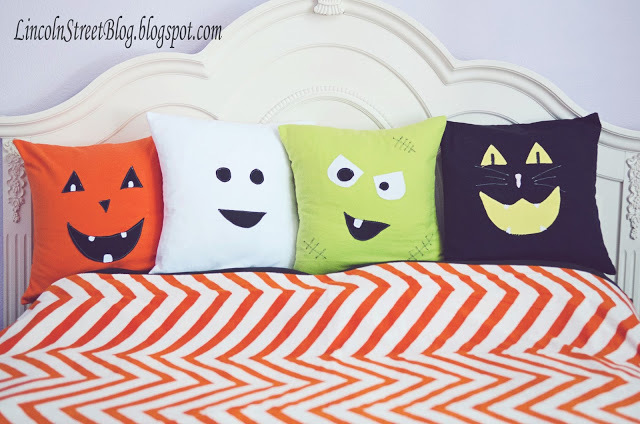 These are adorable pillows. Throw them on sofas, benches, beds and they brighten up the area. A great tutorial on its making. And a great hit with children. Let's continue the madness of minions this Halloween! 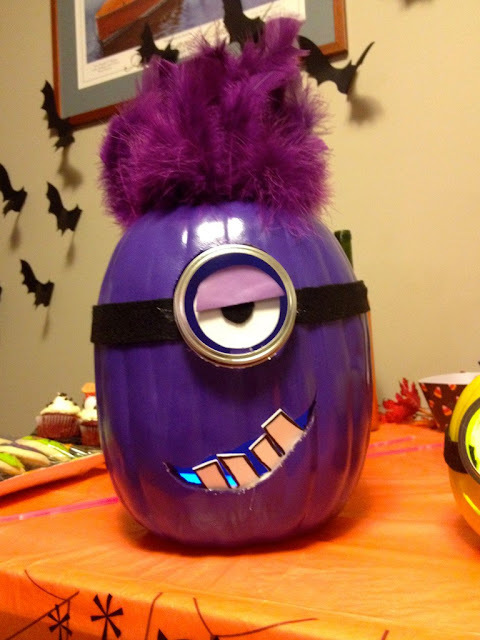 How about a ugly purple minion pumpkin right at on your dinning table or in the doorway. 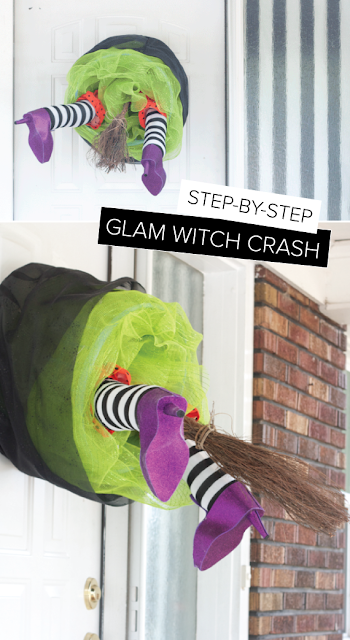 A nicely explained tutorial of a witch crash. This will be a good art exercise for your whole family ;) Crash the witch on the your entrance door or in the bathroom mirror she will scare you definitely. This lighted candy garland is not actually a Halloween decoration idea! But still it will go very well with the Halloween theme. Candy garland will give a break to a scary decor. You will think twice before you step on that doormat. 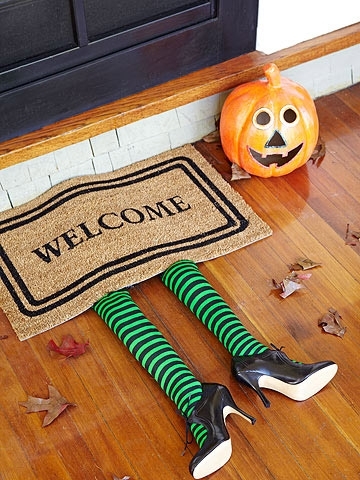 A nice twist to the regular doormats for this Halloween fest. 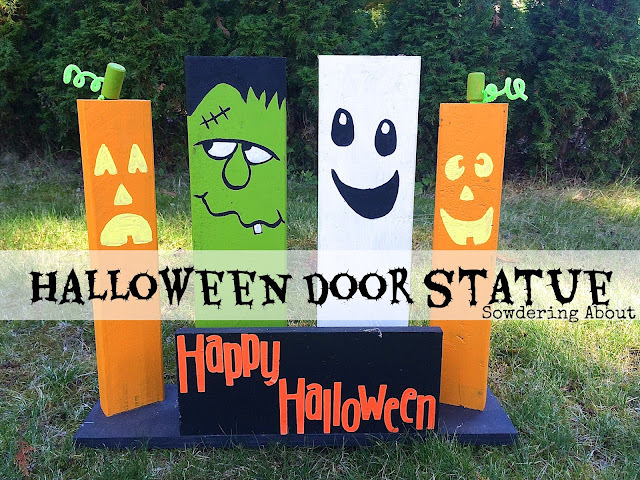 A group of door statues to welcome the guests is always a hit decoration idea. Make them scary or creepily cute its totally your choice! 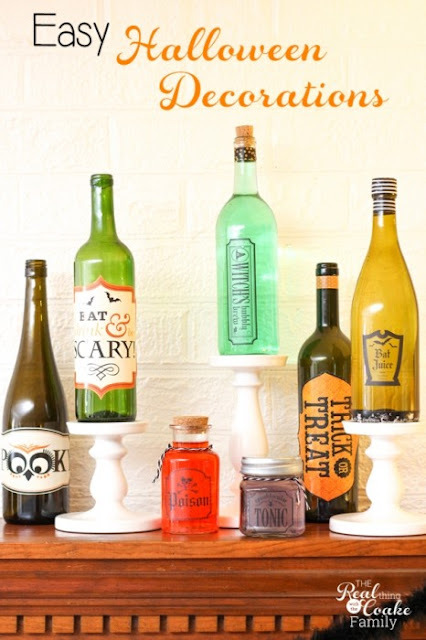 Wine bottle upcycling is a classic DIY now. A decoration without it is incomplete. This one is super easy-vesy. 16? Yes I know I told only 15 Halloween ideas. Then what is #16 doing here. 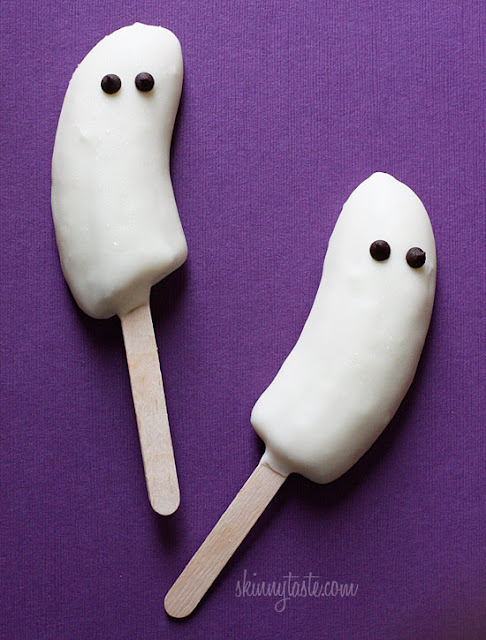 These innocent looking banana pops grabbed my attention. They kept me calling again and again, alas I cannot reject them! :D They were given a special place as Halloween Treat. So, are you now ready to setup your house for this Halloween? Tell me in comments below which one is your favorite Halloween craft. I will love to know them. If you want to feature your blog post on my upcoming Top 15 Thanks Giving Ideas list, send me a email on indianversion.shweta@gmail.com. Don't forget to attach your blog post link. Keep in touch with me on Pinterest and Google+. Follow me!